Whether it is a two seater, three seater or L-shaped, our Eilersen sofas are crafted to perfection. Sinking into any of these sofas is a near-religious experience, one you would not believe to be possible until you test it for yourself. In this article, we will discover the secret ingredients that make up an Eilersen sofas. 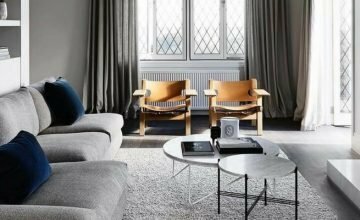 Please visit Part One and Part Two for more insight into the sofas of this luxury Scandinavian brand. In twenty years, you should still judge your Eilersen sofa by its cover. 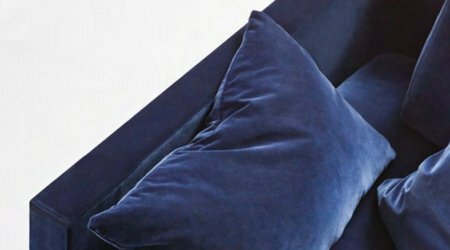 As long as a source material, such as fabrics and velvets, are being used in the manufacturing process, it will be continuously put to the test. 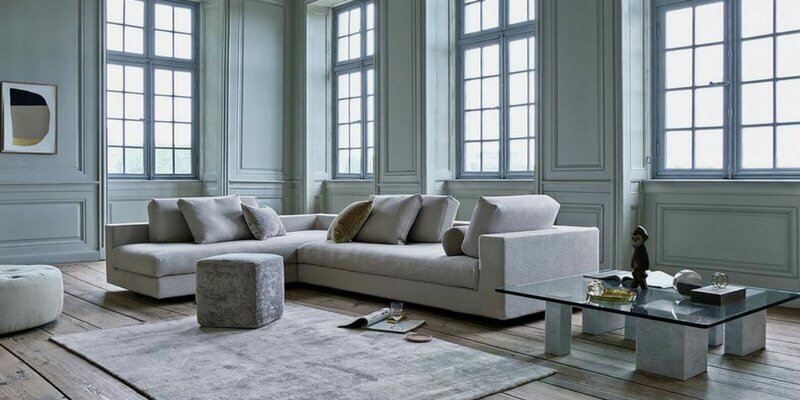 Eilersen sofas are made of natural materials, such as cotton, linen and wool. Why? Because they are durable and comfortable at the same time. 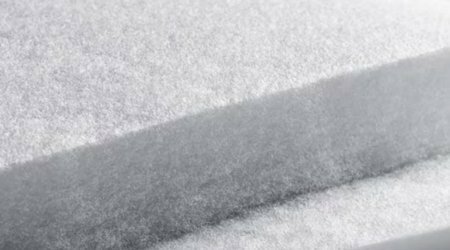 In addition, Eilersen partakes in extensive labelling of their fabrics and materials, enabling you to switch them out if the situation calls for it. 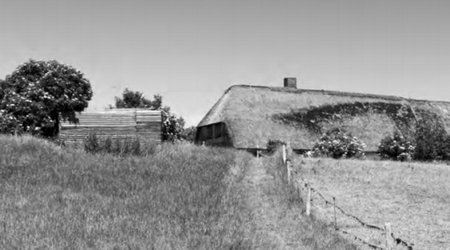 For the best quality leather, one should look to the Nordic countries, for they are typically found on animals living in Northern Europe. No two pieces of leather hides are alike and Eilersen’s best, ingrained aniline leather are chrome-tanned and vegetable-retanned, allowing for maximum softness and texture. The least visible quality of an Eilersen sofa are their spider silk-thin threads. Exceptional upholstery relies on these threads to keep themselves together, which highlights the importance of the elasticity and strength of the material. Whether a piping or seam is hidden to the eye or part of the decoration, durability and accuracy are critical. 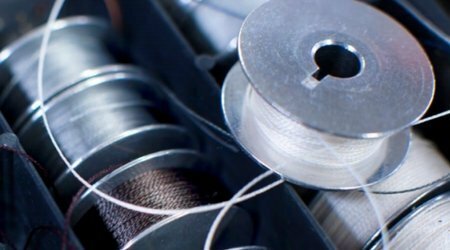 For the Eilersen sofas, thread quality is essentially a matter of make or break. The craftsmen at Eilersen choose without compromise and only trust German industrial standards. Zippers that never let you down are rare. 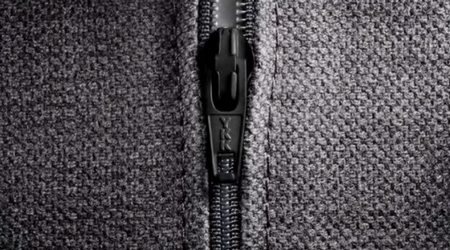 But for the geniuses at Eilersen , perfect zippers are a must for the perfect sofa. Tracing the edges of the cushions are YKK-zippers. If these sound familiar, then you must also own a pair of Levi’s. YKK zippers are known for their carrying capacity. With automatic locks and teeth that are woven directly into the tape, it is almost a guarantee that these nylon zippers can hold and maintain their shape in the years to come. An Eilersen sofa’s solid and ‘full’ appearance is thanks to its abundant fibre fill. It covers the armrests, front panels, sides and backs all sofas, providing optical density and buoyancy. Eilersen ’s craftsmen prefer heavy pre-compressed qualities made from chemically bonded fibres. These are the ones that are renown for maintaining their bulky appearance for generations. 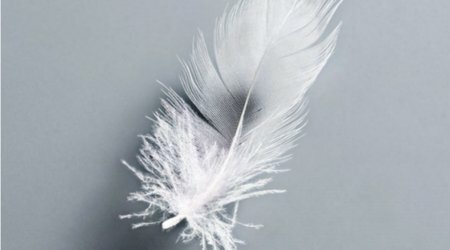 For their sofas, Eilersen only takes in down feathers that are small. But that’s not all – these feathers must be pure, stench-free and non-allergenic. But that’s not all – they must also be uncut and shorter than 60mm. Any longer and your comfort might be pinpricked. Needless to say, an Eilersen sofa is jam-packed with ideas, passion and most importantly, quality materials. Still don’t believe us? Then you might just want to visit our showroom and test it out for yourself.